Feast your eyes on the latest Suicide Squad trailer that features even more footage than the previous release. 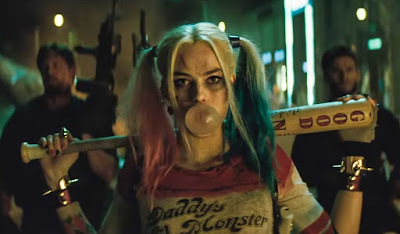 Suicide Squad stars Will Smith as Deadshot, Joel Kinnaman as Rick Flagg, Margot Robbie as Harley Quinn, Jai Courtney as Captain Boomerang, Cara Delevingne (Anna Karenina, Pan) as Enchantress, Karen Fukuhara as Katana, Adewale Akinnuoye-Agbaje as Killer Croc, Jay Hernandez as El DIablo, Adam Beach as Slipknot, Viola Davis as Amanda Waller, and Jared Leto as The Joker. .